Google search results display a number of noteworthy Mark Zobels. Mark A. Zobel (a.k.a. Mark Zobel) the musicologist is not to be confused with the radiologist Dr. Mark S. Zobel M.D., or Mark Zobel the computer scientist and software engineer, or Mark Zobel the corporate sales manager for the Minnesota Twins. Mark Zobel is a LibraryThing Author, an author who lists their personal library on LibraryThing. 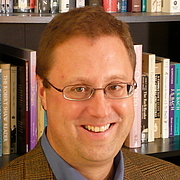 Mark Zobel is currently considered a "single author." If one or more works are by a distinct, homonymous authors, go ahead and split the author. Mark Zobel is composed of 1 name.